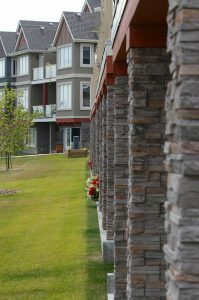 There is a lot to consider when buying homes in Edmonton and surrounding area. Whether its a condo, single family home, acreage, resale or brand new there are a lot of things to take into consideration. Do you wonder about the market? We talk about that too. What DOES it mean if it’s a buyer’s market? What are the current market statistics? These are questions that we try to answer for all our clients. Location location location! Welcome to Commonwealth Pointe II! This bright and welcoming CORNER UNIT features 2 bedrooms, 2 bathrooms, gorgeous upgraded laminate flooring, new light fixtures and has been freshly painted throughout! The open, spacious suite is HIGHLY walkable — with the LRT station nearby and a shopping complex featuring Save-on foods and McDonalds is right next door. Convenient for NAIT, Concordia, U of A, downtown, the modernized Borden Park, the gorgeous Commonwealth Community Recreation centre and more! 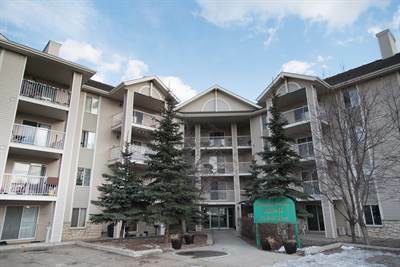 The condo fees INCLUDE ALL UTILITIES: heat, water, sewer AND ELECTRICITY all with the convenience of in suite LAUNDRY! Commonwealth Pointe II is a well managed condo corporation and a good solid building. It’s nothing new. It’s actually the 3rd time in only 4 years. CMHC has announced Changes to Mortgage Insurance Rates once again. And by changes, I mean increases. New home buyers have to dig a little deeper. New home buyers have to dig a little deeper thanks to CMHCs new announcement. The government owned mortgage insurer said that the minor increase would amount to an extra $5 a month for the typical insured mortgage. But Marco Torto, a Mobile Mortgage specialist with TD Canada Trust, shared a document that shows the increase could be much higher. Check it out on my Facebook page. The typical Edmonton buyer is taking on a 5 year term @ 2.94% and a 25 year amortization. With a healthy down payment of between 15% but less than 20%, the CMHC fees are going to increase by twice as much as what CMHC is saying. On a $250,000 mortgage it will be nearly $12/month difference. While it’s not going to keep the average consumer from buying, it’s just another payment, like the carbon tax, that consumers have to make. There are three mortgage default insurance providers in Canada. CMHC which is government run, Genworth and Canada Guaranty. All three will insure a high ratio mortgage (a mortgage with less than 20% down). This insurance protects lenders, in the event a borrower ever stopped making payments and defaulted on their mortgage. Although it hasn’t been announced, it is likely all insurers will increase their rates to be inline with CMHC’s new increased rates. Speak to your mortgage specialist for more details. The answer is simple: Buy now — before the March 17th change to CMHC rates takes effect. With great inventory and a definite buyers market, this is one more reason you should buy now before the CMHC Mortgage Insurance Rates increase. 2017 is the year to buy — Now we know that February just may well be the month! Call Dennis at 780-951-3361 or Heather at 780-710-7232 and we’ll help you get there. Are you still sitting in the middle of the decision fence when it comes to buying your next home? If you are, you are not alone. Buying a home is a big commitment. And with current market uncertainty, how do you know if it’s the right time now? While there are no guarantees about the market conditions, it is likely that the price of oil will continue to recover in the next year with the agreement made by OPEC to limit production and other factors that will balance supply and demand. The approval of the pipeline by Trudeau can only help to move forward Alberta’s ability to access new markets and reduce transportation costs. It may not be long until we see the home prices recovering too. That being said, you can enjoy the benefits of a buyers market NOW and likely through the first quarter of 2017 before we see the early stages of recovery. When it will happen is unknown. I’ve heard projections that spring will be the start of the recovery all the way to Q3. Either way, it seems every one agrees they are going to stop declining, stabilize, and then go up in a relatively short time frame. 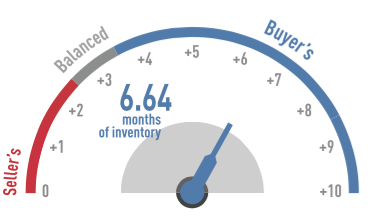 What does a buyers’ market mean for you? Well, it means you, the buyer, has more choice and has more power in bargaining… particularly if you have a motivated seller. This all makes buying a home better for you, NOW. Here are a few things you can be doing in preparation to buying a home. First, find a good REALTOR®. This is key to buying a home that is the right home for you. You will want a FULL TIME agent who has at least 4 years experience under his/her belt so they have enough experience with writing the contract and protecting your interests. Sit down with them, and see if you like each other because when it comes time to looking for that house you are going to be spending a lot of time together. If you are buying a condo, make sure they have condo experience, as a condo can be complicated. Once you found an agent you like they will be able to guide you through the whole process. Have them set up a specialized search for you so that you are getting the “for sale” and the “sold” prices and know whats selling and for how much. That way you will know a bargain when you see it. Your REALTOR® will not only assist you in buying a home that meet your needs but they will do their research to ensure you are protected in the contract. They will do a market evaluation and help you determine if the house price is a good deal or not. And if it is a good deal at the list price, you will want to snap it up before someone else does. The good deals still go fast even in a slow market. If it isn’t a good deal, and you still love the house, you can be more hard lined with the negotiating and perhaps make it into a good deal. Your REALTOR® will help you figure out what that means based on the recent sales and market data, and can help you determine when to counter and when to walk away. You want to pay no more than fair market value. If the seller is asking too much, walk. There’s another house on every corner. This one, if over priced, is not for you. Second, find yourself a good Mortgage Broker. A Mortgage Broker or “Associate” can help you get mortgage interest rates that are often less than those you get walking into the bank. They have access to dozens of lenders and can usually tailor fit a mortgage to your needs. And if you are determined to use a major bank, seek out their mobile mortgage specialists. These guys work on commission, so if they don’t complete your file they don’t get paid. Talk about motivation for customer service! Way better than the guy on salary sitting in an office. Once you have a mortgage broker, get your application done and LOCK IN YOUR RATE. Rates are going up, people, and locking in is usually good for 90 days. Doing all the preliminary financing work means there are no surprises when it comes to the financing condition too. The worst thing is to fall in love with a house and not get it because CMHC made a rule change and you no longer qualify for what you thought you did. It happens all the time, and it is an HUGE emotional let down. If you don’t know who to call your REALTOR® will have contacts in the industry and can refer you to a Mortgage Associate they trust. Third, make sure you have your down payment and closing costs ready to go. Many people are shocked at how they are seemingly nickel and dimed to death at closing time. Once again, use this time to get ready. Things you may have to pay for are inspection costs, professional condominium document review costs, legal fees, tax adjustments, Condo fee adjustments, estoppel statement costs, utility hook ups, window coverings, and even the costs of moving. Since every situation is different, your REALTOR® can help you figure out what your extra costs are going to be so that you are ready to go when you write that offer. Once you have these things ready to go get out there and start looking. This is the fun part! Typically you are going to see the best that’s on the market the first day you are looking. Don’t be surprised if during this process you need to make adjustments to your criteria, or sometimes to your expectations! It’s a process, and this is where the fun begins!